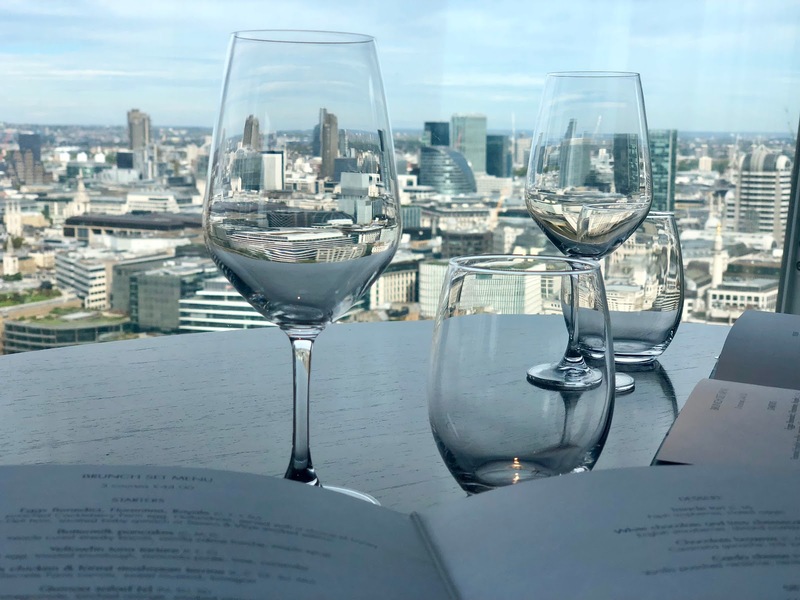 The 16th September always seems to come around fast – it doesn’t seem like a week has passed since we celebrated our third anniversary at Sushi Samba. 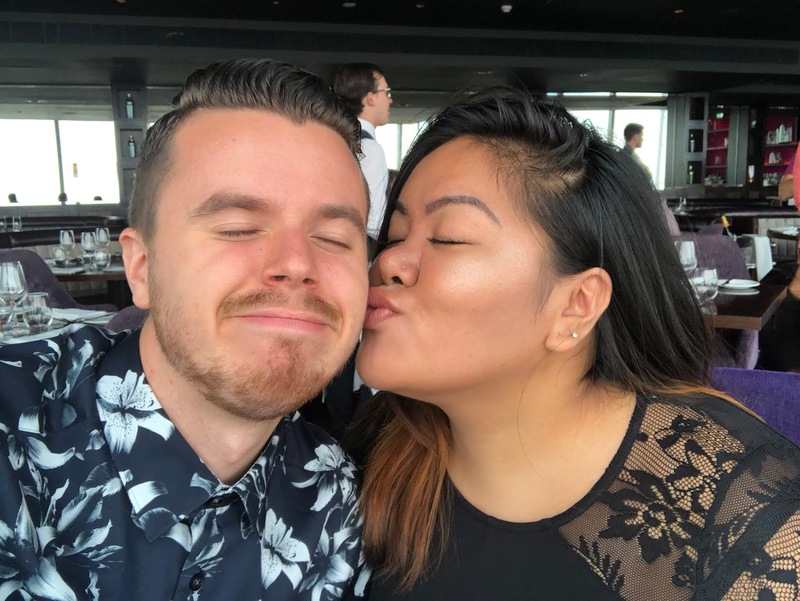 Now a year later and we’re shooting up to the top of another London skyscraper, ready for a monumental meal and milestone in our relationship. With our finest clobber on we were a little surprised to see an LA Lakers shirt being donned by the first gent we saw upon arrival – maybe it’s not as high brow as we thought, but thankfully, that wasn’t reflected in the food nor service. 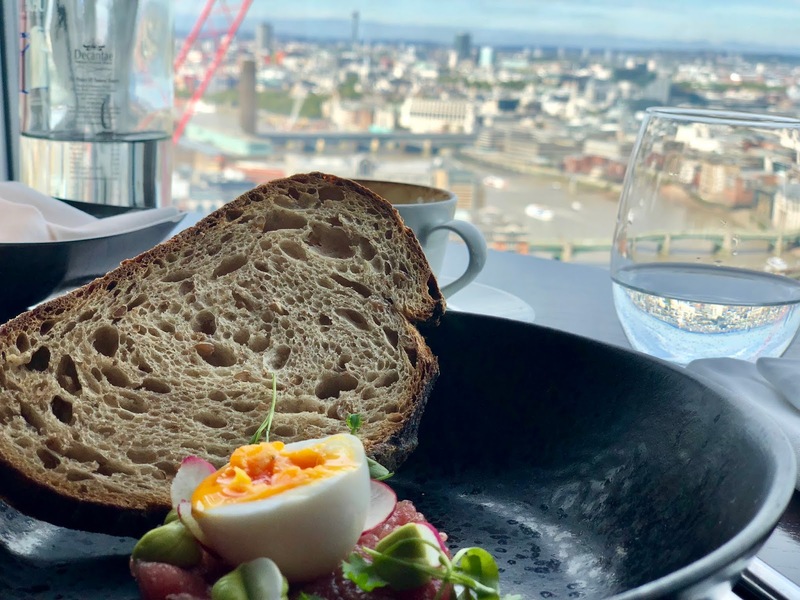 Having booked the three course set menu for £44 per person, we’d eyed up the diverse brunch options on the web beforehand, contemplating the less than traditional dishes with wanting to take the opportunity to try something new. Yellowfin tuna tartare with soft quail egg and avocado puree certainly fitted the desire for something different and it was absolutely delicious. The fish was flavoursome, egg bursting with yoke and the sourdough bread and butter was just perfect. Meanwhile the buttermilk pancakes with berries, streaky bacon, creme fraiche and maple syrup was equally delectably soft, spongy and guilt tripping. Facing out towards St Paul’s cathedral, Blackfriars and London Eye, we had the perfect window seated position, despite the weather being typically gloomy. With plans to head out West to Kew Gardens following brunch, we thought it was at jeopardy. However the sun unexpectedly came out and we enjoyed a glorious afternoon strolling through the spiritual home of David Attenborough – check out our travel post from the afternoon. Big expectations of the main courses were fully justified within moments of it touching down on the table. Jessica’s wagyu brunch burger was so big it required a knife but it was the black truffle and parmesan fries that stole the show. The flavour was strong but well balanced and perfectly complemented the tender burger and treacle cured bacon. Having gone for a unique starter, it was time to channel the traditional fella within me and opt for the classic full English breakfast. Everything down to the baked beans and tomato had a coating of luxury on it, so much so that I’m thinking about labelling it the best I’ve ever had. With dessert and midday coming at around the same point, we were completely full and were hoping the final course would be little and light. 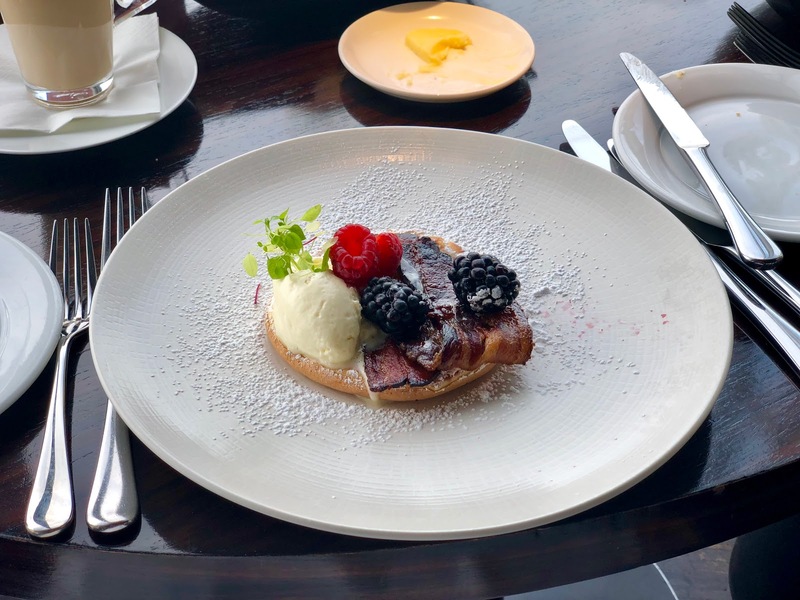 We both ordered the white chocolate and lime cheesecake, but of course The Shard does not do ordinary so when it arrived deconstructed, we shouldn’t have been surprised. It was amazing. 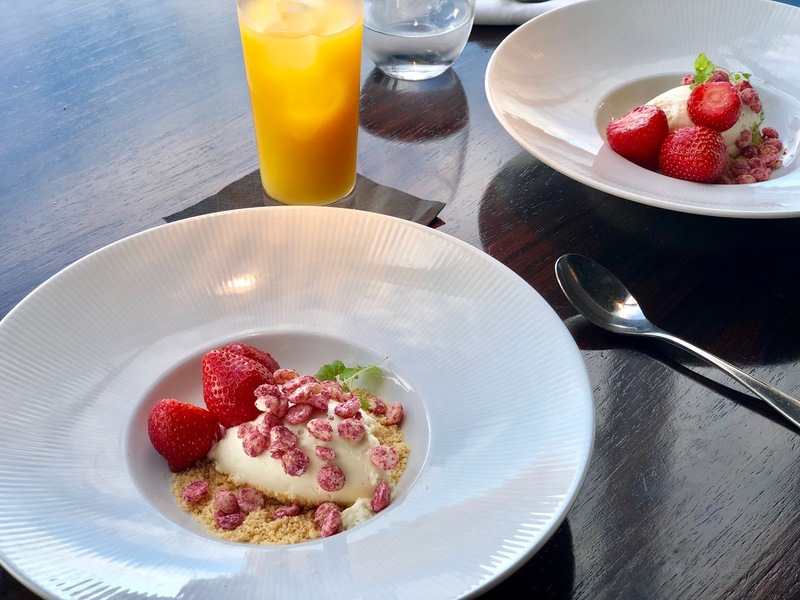 The freshest of strawberries, delightful almond crumble and white choc cream gave us just the right way to end a wonderful meal. Not a place we’d go to every Sunday, but Aqua Shard was a fantastic choice of venue for our fourth anniversary. 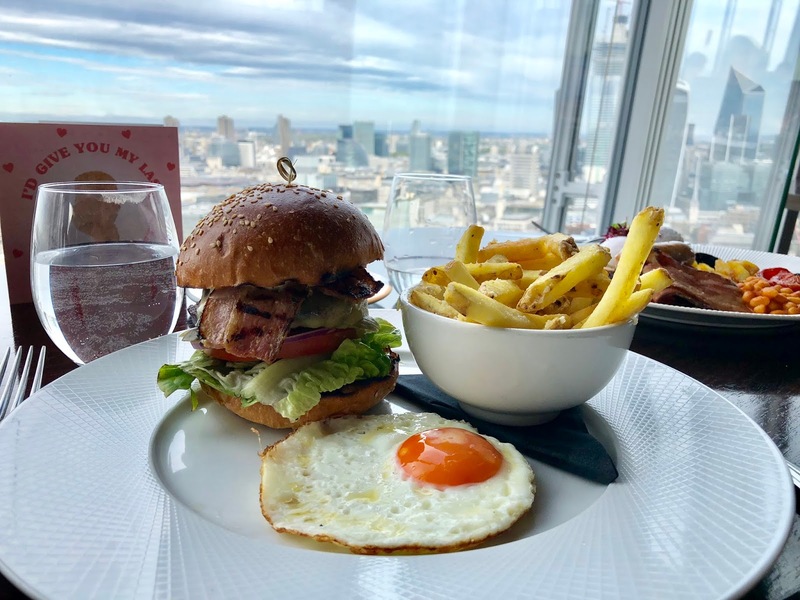 The food was faultless, service attentive and the view was outstanding. The next 16th September is a bit of a biggy and we think we know where we want to go. All we’ll say is that it’s not on home soil. I have never been to the Shard but I would love to go eat up there! the view must be so amazing! And the food looks delicious too! Who does not love a full english breakfast?! Happy Anniversary!I'd love to go to the Shard someday!The meals are so beautifully presented, especially the dessert. It looks divine! 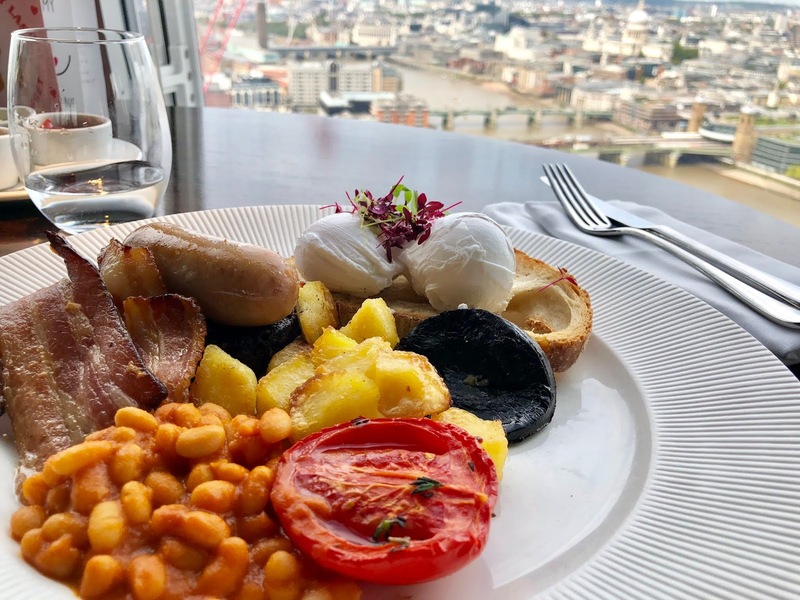 That English breakfast looks yum too!